This section covers the most recent version of Jaguar's flagship saloon, known by its code name of X350. 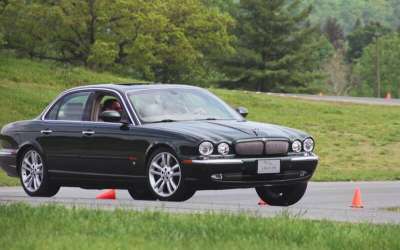 Launched in 2004, the 7th generation of XJ saloon is the first Jaguar to be build with aluminum resulting in lighter body for improved performance. The X350 was originally introduced with a choice of engines : normally aspirated 4.2 litre V8, supercharged 4.2 litre V8 and in Europe a 3 litre V6. 2006 would see the introduction of a very succesful twin turbo diesel in European markets.